£5 / €7 / $6. 28 pp, 17x21cm, saddle-stitched, end-papers. 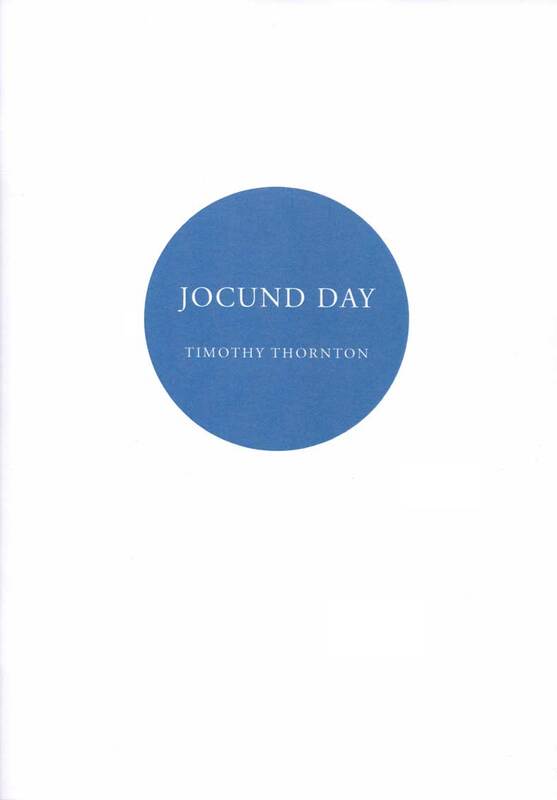 Jocund Day was written from 2006–2009. Numerous public readings have been given from the work: at the Grasp Press Reading Series, the Openned reading series, the Cambridge Reading Series, the Chlorine Reading Series and the Sussex Poetry Festival. It has been written about by Alex Davies in Department #1, by Mike Wallace-Hadrill in the CRS pamphlet series, and by John Armstrong on the Bebrowed blog. Timothy Thornton is a publisher and musician. He is a pianist for the Ealdwic Ensemble, a sextet specializing in contemporary music. His books to date include Now Vulgate (2008) and PESTREGIMENT (2009), from Grasp Press, for which he has designed and produced numerous other publications. 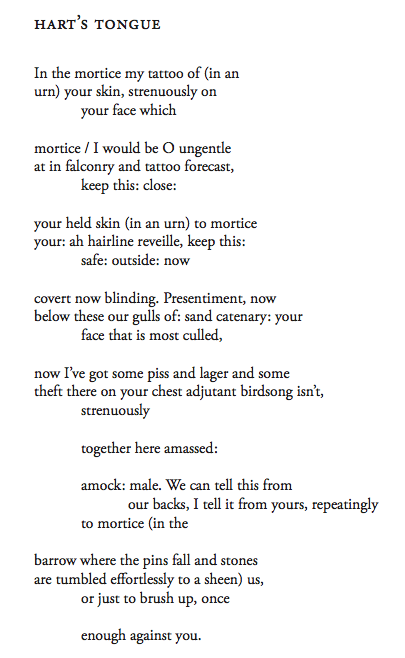 His work also appears in the Better than Language anthology, the Cambridge Literary Review, Department, Hi Zero, Holly White, Hot Gun, The MAYS Anthology, Oxford Poetry, Signals, the anthology of the second Sussex Poetry Festival and on the Deterritorial Support Group website. Poems written in response to the recent civil unrest in Britain appeared, alongside poems by Francesca Lisette, Jonny Liron and Joe Luna, in a pamphlet from Grasp Press.